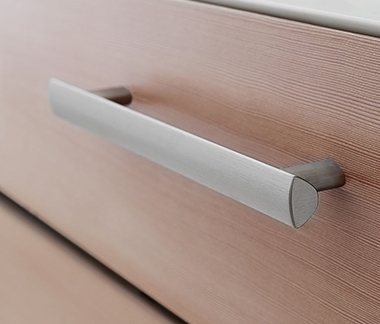 Handles are not just the finishing touch to your wardrobe doors and drawer fronts they create individuality and provide a real design statement. That is why we offer an extensive selection of designs, finishes and sizes, so whether you are looking for contemporary or traditional designing, our range of handles will be the ideal accompaniment to your wardrobe or kitchen door choice. If you are looking for handles for a new bedroom or kitchen then our selection of quality handles and knobs provides a range to fit most tastes, equally should you be looking to give a room a facelift then replacing handles on existing doors can be the ideal solution. 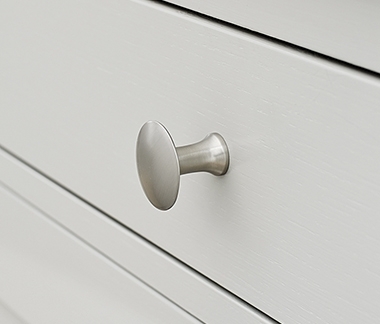 These high quality handles and knobs will provide a unique finishing touch to any door, made from quality materials ensures they are hard wearing and will look good for years to come.